"Waiter, I have been waiting for a whole half minute!" 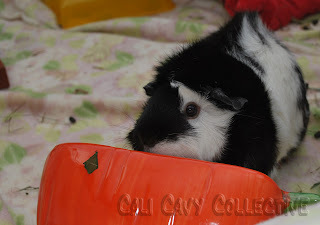 We pigs have learned to recognize the clinking of our food bowls as a signal that dinner is about to be served. The sound never fails to bring us scampering from our pigloos and cozy hideaways. Belka and Revy show us their signature food bowl maneuvers. 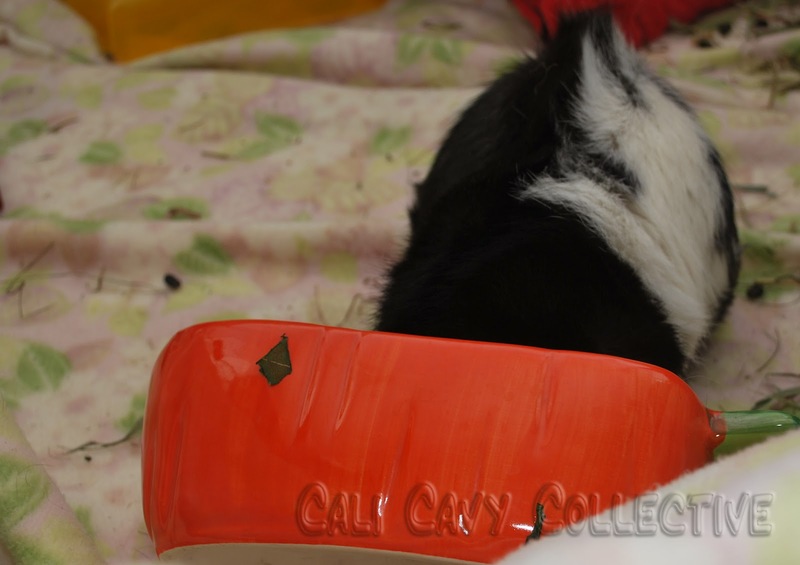 Revy is usually so enthusiastic about meals, she tips her carrot-shaped bowl on its side and shoves her whole head in the trough. This ensures maximum eating efficiency so no precious time is wasted lifting her head up and down. She simply eats and chews with her head inside the bowl. Good thing piggy salads don't have dressing on them. Belka has taken this trick to the next level. By planting her paws on the edge of the bowl, she tilts the entire thing towards herself, ensuring that everyone else is forced to go after the leaves that have fallen out while she gorges herself unencumbered. 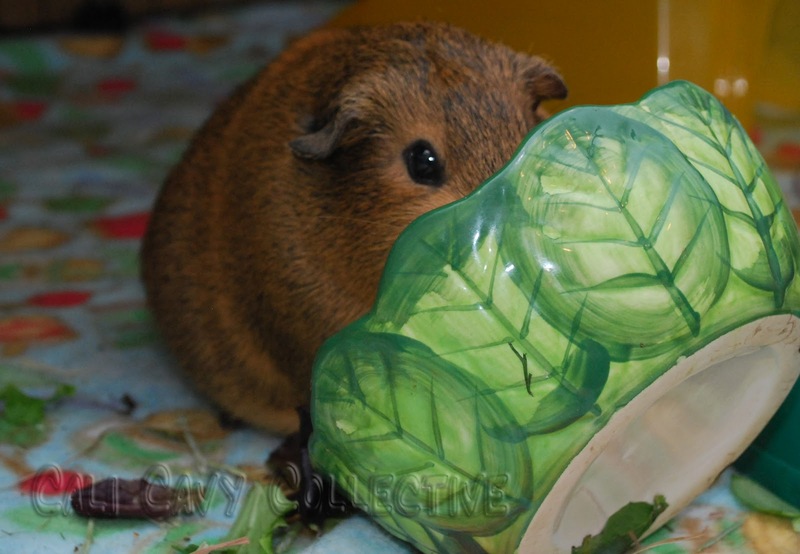 Luckily for the other pigs, Belka is often too lazy to hold the bowl up for long, so everybody gets a fair chance. Do your pigs have any food bowl tricks? Abercrombie had a great one, of pulling the dish to the hidey house, then tipping it up, so only she could eat from it. Pandora would be left outside the house, complaining bitterly at Abercrombie. LOL poor Pandora! How clever of Abercrombie. btw, I love the bowls, where can you buy them? Mikey, Dunya was adorable in the video. 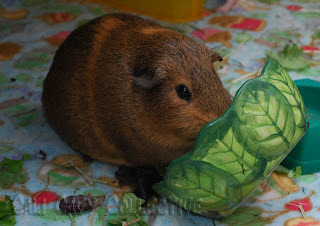 I recognize Lotje from earlier Undercover Pigs posts, clearly she didn't want to give any of the pellets up lol.